Click the picture for a full sized wallpaper! 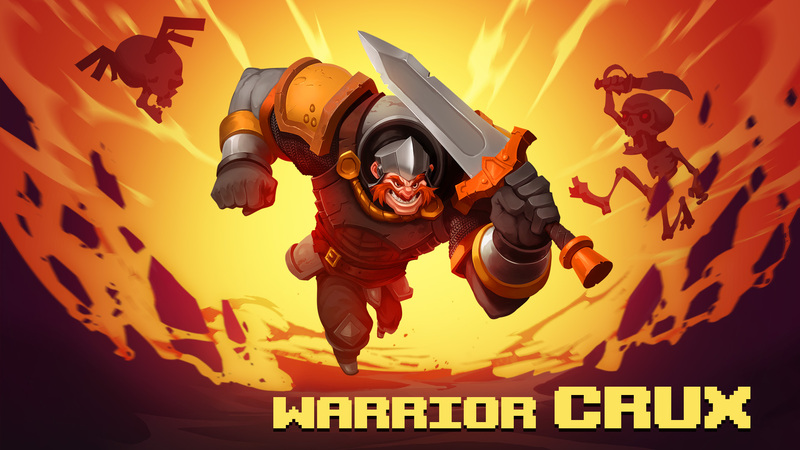 Our legendary band of heroes were once celebrated throughout the kingdom because of their heroic deeds. Unfortunately they were too efficient with all the dragon slaying and prince rescuing, this caused them to run out of quests. The kingdom prospered and peace prevailed so the legends grew old and stories faded. But then, after years of peace King Fortinbrax has one more daring quest for his epic band of heroes, they must take the twin princesses to school! What kind of father wouldn’t want the best for his children. 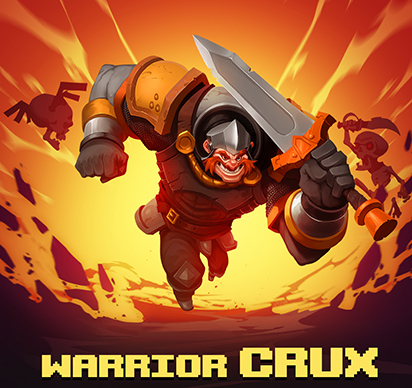 So embark on an epic journey with two former heroes, Crux the warrior and Metacles the monk. 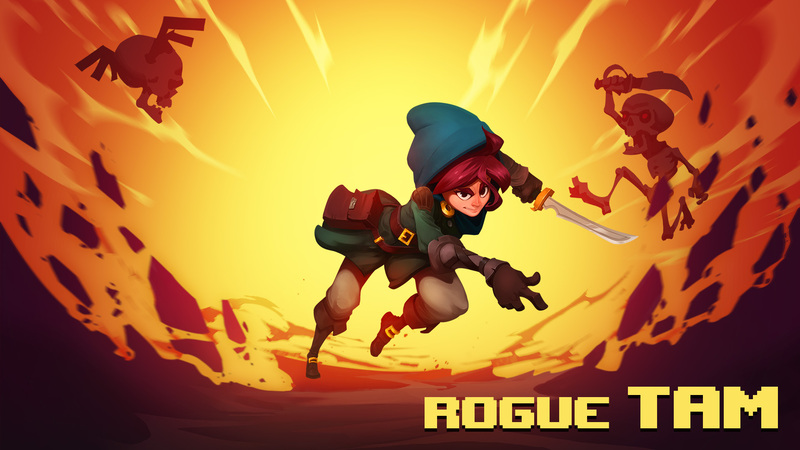 Luckily they are accompanied by a young rogue, the newest addition to the Has-Been Heroes group. Let us have a closer look at our heroes. As a toddler Crux used to wrestle with giants, so as an adult he was the world strongest man. Unfortunately this tittle is now passed on, but despite his years he is still a powerful warrior. Crux is very caring and the well-being of the princesses is a very close to his heart. 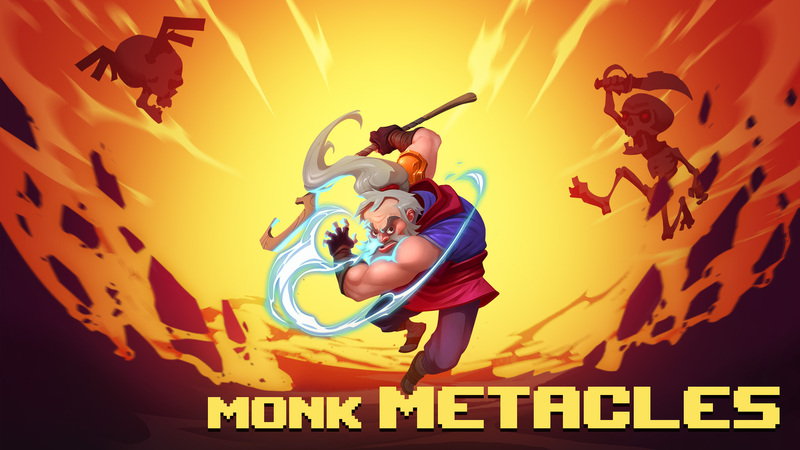 Metacles is the senior member of the heroes. He would need crutches if it wasn’t for his magical powers and strict training regime. Don’t let his age fool you though, that could be a grave mistake. 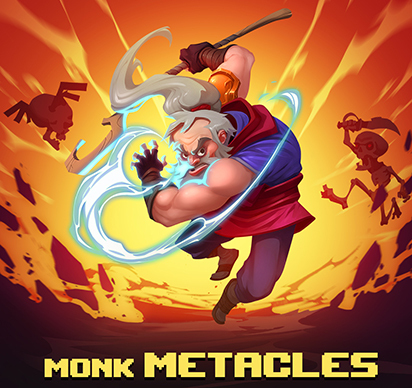 Metacles became a monk-mage in a sheltered monastery long ago in his wide-eyed youthfulness. He learned most of his real craft wandering the many roads of the world alone, until he encountered the Epic Band of Heroes. What about Tam then? 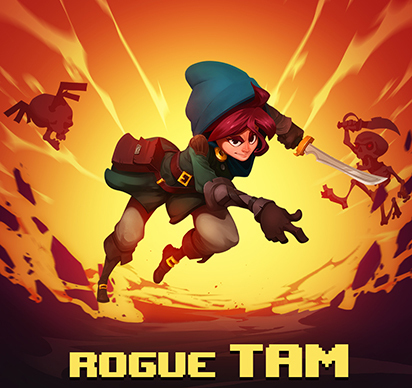 This is actually the first quest for Tam the rogue. She has waited all her young life for an opportunity like this, a chance to be a part of a daring quest. Despite her reserved demeanor, she is ecstatic to be a part of this adventure, and to see the world at last. What do you think of the heroes? 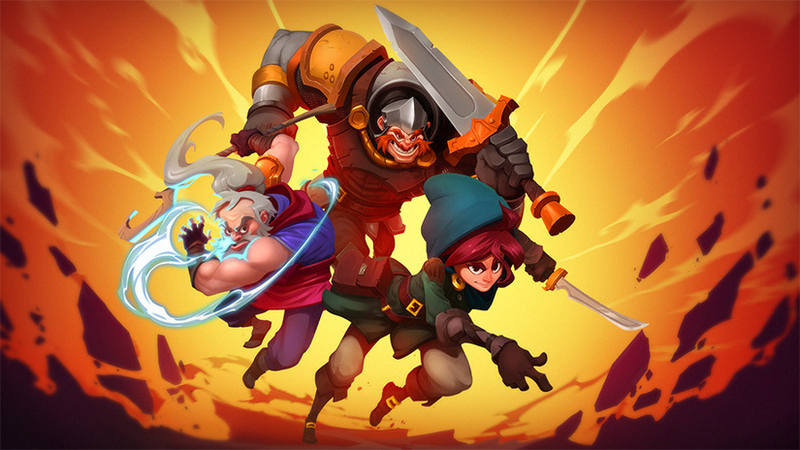 Is there anything you would like to ask from our awesome Frozenbyte Has-Been Heroes team? We are going to do a little interview with them next month, we would love ask them the questions that you’d like to hear the answers to. So just leave your question in the comment section below. Hey, just wanted to know if the partnership with Gamestop has been beneficial to the studio, development process, and marketing/merchandise?